I am not (despite being a blogger) much of a one for technical stuff. I likes cds still rather than mp3 and iI have quite a collection of video tapes. When my blog goes down I cry and really the TV befuddles me and I have to rely on my kids if I want to watch anything on catch up. So when I was asked if I would like to review rather fancy looking bluetooth headphones it was with hesitation that I said yes. 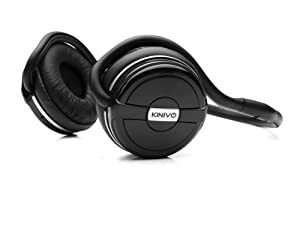 I have had my Kinivo BTH240 Bluetooth Stereo Headphones a few weeks know and I have to admit I rather adorte them! At night I can watch TV in the bedroom without worrying I will disturb the children. Its lovly not to have wires allover the place and these are so super comfortable too. When out walking my phone can be in my bag and I can just have my headphones on again with no annoying trailing wires. They are pretty fabulous. I can even pause, play and alter the volume all form the headset and it can be used for handfree calling as well as listening to music. For those of you who would like a bit of technical details about the headset here you go…. 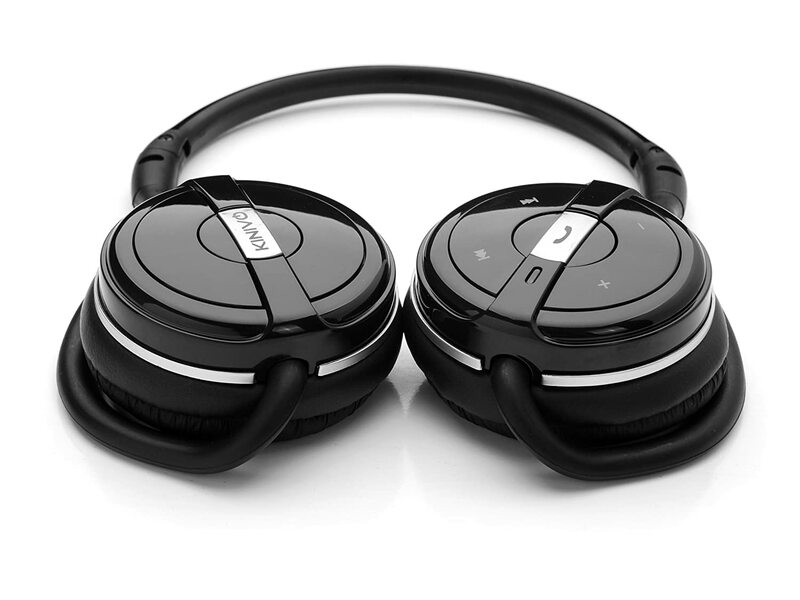 I am really pleased with these for £21.99 I found them so comfy, really stylish and great audio too. Plus (and most importantly for me) they were really easy to set up and use! hehe, the first part of this made me laugh! My Dad wears ones like this as he is deaf, and he finds they work brilliantly!